We returned from our vacation in Florida yesterday to find that someone had invaded our home and taken our bathroom. Unfortunately they left the cobwebs behind. Halloween is long over and I guess they’re not a big commodity right now. I don’t get it. 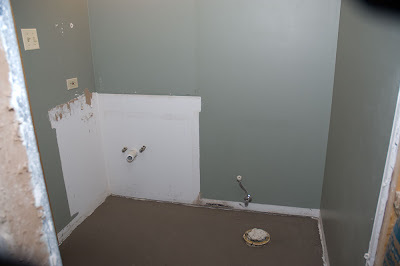 Why would someone take our lovely 80’s style mauve toilet, outdated sink/vanity, and dilapidated shower? I then switched tracks and decided to go for the ‘if I’m going to be blogging I should go all in and get some ads on here’ approach; specifically Home Depot ads, kind of like, “Look at me Home Depot, I’ll be spending lotsa (yeah, I know ‘lotsa’ is not a word either, but deal with it) money at your stores and will share with the Blogosphere all the lovely items I’ve purchased at your stores and thus my readers will shop there too, so give me some Depot Dollars for my trouble” tact. But that made me feel all ‘gimmee, gimmee, gimmee’ (again, not a real word) and I wasn’t quite feeling that so I thought I’d share how my laundry room has turned into a workroom and Tim ‘The Tool Man’ Taylor is around the corner and how I hoped he’d come riding in on a hopped up Hoover to rescue me from all the dust that has landed on my bright and shiny red LG front loader washer and dryer because woe is me post. 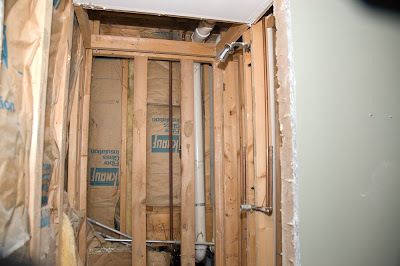 …but then I’d just have a whiney bitchfest; something to complain about; even though I’m finally getting my bathroom remodeled; post. …owning a home = debt. Home Depot, I will gladly accept a bail out. Don't hold your breath....Mr. H is a big time manager for HD and we don't even get a discount!! However, they WILL offer you 0% for 12 months on purchases over $299. Which is roughly the same interest rate as the Fed is getting. So that helps, right? I know the woes of remodeling, for sure. 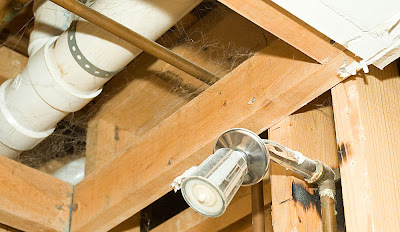 Not that long ago my hot water heater busted and I had to replace everything. Luckily I bought my house through Taylor Morrison (learn more about them on their website- http://dreambig.taylormorrison.com/?utm_source=bc - and sign up to win a dream vacation while you’re there) and there were warrantees on all of my appliances. They had plumbers in my house fixing things in no time, but I took the opportunity to change around some of my bathroom fixtures. Hey, everything was already pulled apart. Bailing you out is the least they could do. Great to have you back. Any pics of Florida? OH MY GOD!!! I want your red washer/dryer! That rocks!!! You'll get to shower and pee in your new bathroom eventually, right??? 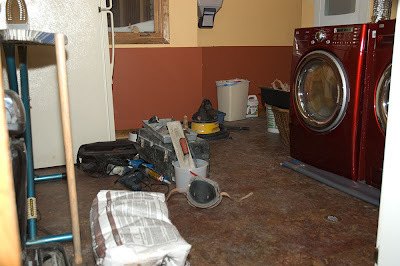 Home renovations are a nightmare and expansive but they make for great blog fodder! SO TRUE! Home=debt. I'm looking around this house thinking, "I need new family room furniture. I need carpet everywhere. All the walls need paint. The wood floors need waxing..." It's. Never. Ending.